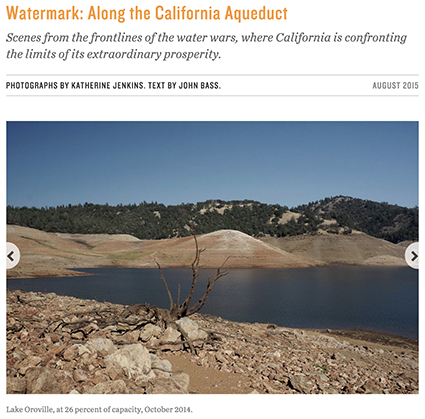 Something I wrote to accompany the photographs that landscape architect Katherine Jenkins took of water infrastructure in California, recently published piece in Places Journal, a journal of public scholarship that needs everyone’s support. Modern California is an extraordinary achievement. To make a semi-arid region habitable and prosperous has required massive geo-engineering - reservoirs, dams, aqueducts, canals, pumping stations, and treatment plants, all dedicated to harvesting, storing, supplying, and transporting water. But now this achievement has produced a wicked tangle of problems. I’d like to publicly thank John Fleck for his generosity in all of the exchanges the two of us have had over the years. Thanks back. The benefit has been grandly mutual. Let’s meet non-virtually one day soon.